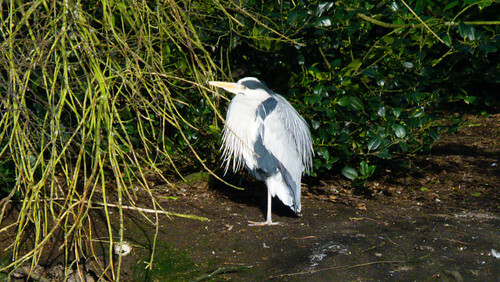 Two herons in neighbouring positions on the shore of West Park boating lake island, pictured here before the very cold spell a the end of January / early this month. The more clearly visible bird is a mature adult. The other, half hidden behind dangling catkins, a juvenile.